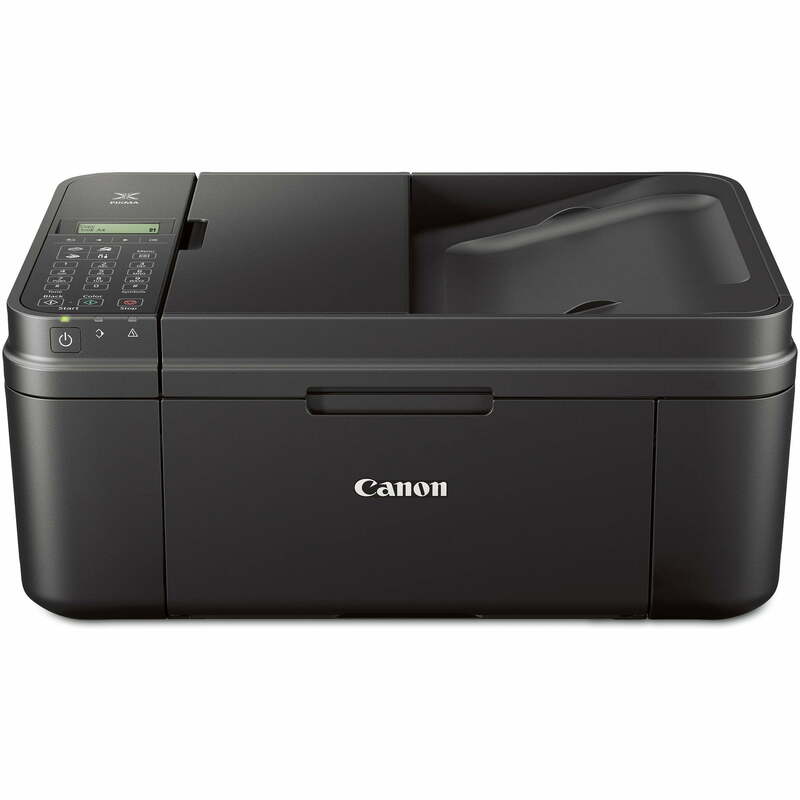 The Canon PIXMA MX490 Wireless Office Printer/Copier/Scanner/Fax Machine is ideal for use in just about any setting. Print from more locations than ever with the MX490 thanks to outstanding connectivity options and the ability to place the printer more places than ever with its 30 percent reduction in size over previous MX models. The printer is Energy Star certified, helping to minimize its carbon footprint, along with its physical size. Print Speed: Black: Up to 8.8 ipm.Products that are ENERGY STAR-qualified prevent greenhouse gas emissions by meeting strict energy efficiency guidelines set by the U.S.
Environmental Protection Agency and the U.S. Department of Energy. The ENERGY STAR name and marks are registered marks owned by the U.S. government, as part of their energy efficiency and environmental activities. So far, so good! Very easy to set up and begin using right away. I love the wireless printing! Much better than spending $50 buying ink for a two year old printer. Tbook.com crawls the web to find the best prices and availability on products like Canon PIXMA MX490 Wireless Office All-in-One Inkjet Printer Copier Scanner Fax Machine. This product is one of the more popular items we list which is why it is in our "hot deals" section. If you have any questions on this product, please give us a call at 734-971-1210 during the hours of 9am - 5pm EST for assistance. Thank you for shopping at Tbook.com, the Internet Department Store!